Gate contractor for installation, repair and maintenance services. 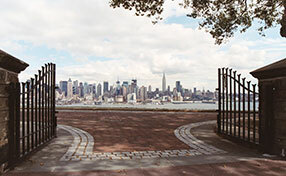 Our company works with technicians trained to handle situations requiring simple to intricate gate repair services in California. The 24/7 emergency gate service we offer ensures assistance will be available anytime without having to wait for regular working hours. Call us to appreciate what versatile service really means. Our gate company can assist people when swing gate hinges get rusty or the opener makes noises. 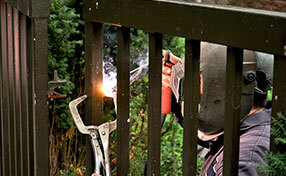 We are gate repair experts and offer our assistance fast. Any urgent problem related to the way the gate moves or customer safety is handled right away. Our technicians troubleshoot the gate and fix the reverse mechanism or parts, which possibly obstruct the proper movement of the gate. We are knowledgeable professionals and our devotion to our customers is ensured. By being thorough during inspections and maintenance, we tune up the system and apart from guaranteeing excellent operation and safety, we also ensure longevity. We replace and install both gates and components, are aces in opener repair services and have the ability to repair, install and program intercom systems for gates. Your gate is a complimentary and useful addition which adds uniqueness and attractiveness to your property. Simply pushing a button on your smartphone or remote control allows you instant access to your property even when you open them during a fierce storm or in the dark at night. But when there’s a problem, you can count on our local professionals to fix it fast, properly and at an affordable price. We use the best materials available on the market from a wide network of suppliers to assure you of a quality installation or repair that’s guaranteed to be done to your complete satisfaction. Whenever you have any problem or have a question about your gate, just give our office a call or visit our popular website for the fastest, friendliest and most professional repair service in town. Learn more about automatic gates from our informative and interesting infographic. You will find it easy and enjoyable to read. We perform garage door and gate repairs using the latest technology in the field in terms of workmanship, tools and parts. 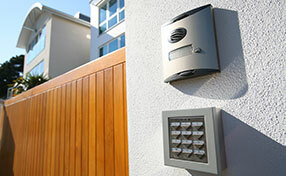 Our company contractor is an electric gates opener company. We at US Electric Gate Openers in Chula Vista care about our consumers and the work that we provide for them. For this reason we offer a 24 hour emergency repairs service to each and every single one of our customers. It is always a good thing to have a gate intercom system installed whether you need it for residential or commercial properties. Look no further. We here at the driveway Gate Company in Chula Vista offer the best rates for protecting your home. We understand that when it appears to security and protection of your home, family and belongings you want the upmost quality at an affordable price.